When the going gets truly tough, fat tire and plus bikes excel by maximizing the contact patch with the ground and delivering confidence and control where narrower tires would lose their grip. These bikes have frames designed specifically to accommodate the 3" to 5" wide tires that define their categories, and geometry designed to give the rider stability in soft, loose conditions such as sand, snow or gravel. When the going gets truly tough, fat tire and plus bikes excel by maximizing the contact patch with the ground and delivering confidence and control where narrower tires would lose their grip. 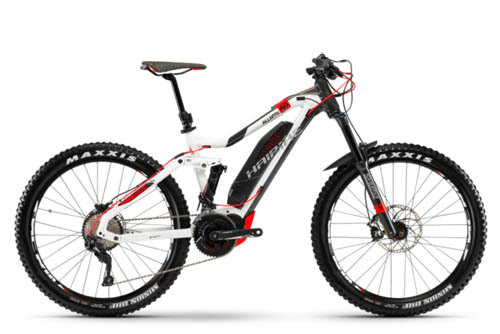 These bikes have frames designed specifically to accommodate the 3" to 5" wide tires that define their categories, and geometry designed to give the rider stability in soft, loose conditions such as sand, snow or gravel. Paired with a powerful Bosch or Yamaha mid-drive, plus and fat tire bikes let you venture places on a bike you never thought possible. Four-inch wide low pressure tires roll over the toughest ground with confidence. 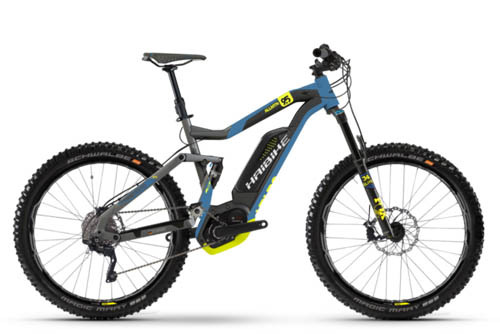 These bikes are all about a go-anywhere approach, sporting beefy frame construction, front or dual suspension, and, of course, massive traction for tackling beyond-trail conditions. Plus-sized 2.8-3.0" tires ride on wide 27.5" rims create a new class of mountain bike filling the gap between standard mountain bikes and fat bikes. With a plus-tire setup you gain 29er-like fast rolling characteristics combined with the advanced traction and flotation of a high-volume tire for a fun all-around mountain bike experience.